Just Browsing | College is……..
Today I came across something that blew my mind. 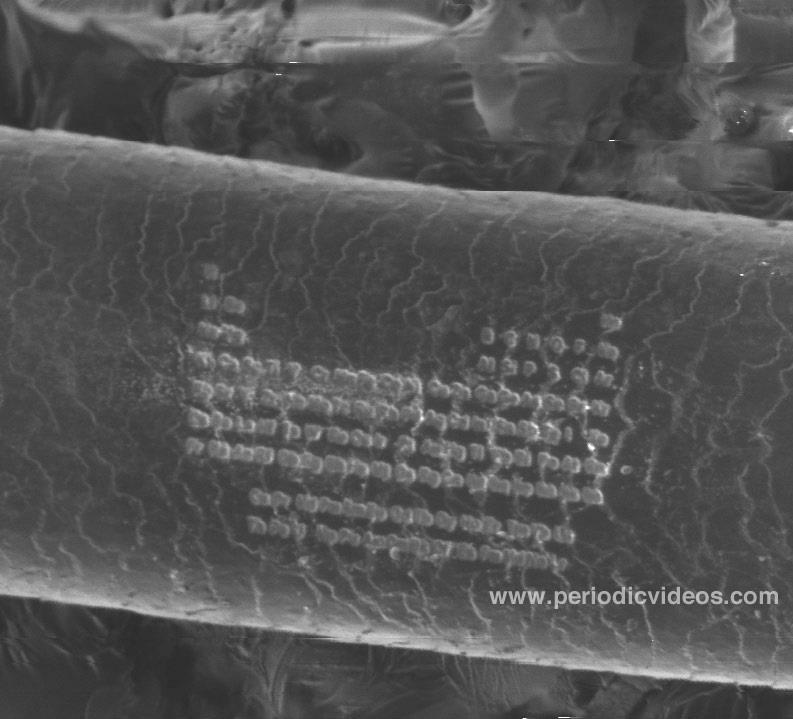 It is the periodic table on a human hair! This just proves that nothing is impossible. This entry was posted in Uncategorized and tagged periodic table, science. Bookmark the permalink. I blog quite often and I genuinely appreciate your information. This article has truly peaked my interest. I’m going to take a note of your website and keep checking for new details about once a week. I subscribed to your Feed too. Howdy! This blog post couldn’t be written any better! Reading through this post reminds me of my previous roommate! He always kept talking about this. I most certainly will send this information to him. Pretty sure he’ll have a very good read. Thanks for sharing! When I initially left a comment I seem to have clicked on the -Notify me when new comments are added- checkbox and from now on each time a comment is added I get four emails with the same comment. Is there a means you can remove me from that service? Thanks a lot! Howdy! I could have sworn I’ve visited this website before but after browsing through many of the articles I realized it’s new to me. Nonetheless, I’m definitely delighted I discovered it and I’ll be book-marking it and checking back regularly!